Coming back from my wild journey in South Africa, I had a very long lay-over in Dubai and felt in desperate need of killing time until the next long flight. I didn’t find Dubai airport particularly appealing, and since my flight from Johannesburg arrived in the middle of the night, having a quick tour of the city was not an option. After spending a few hours in a pub drinking coffee, looking at the hundreds of photos I had taken in the previous weeks and trying to keep my eyes open – a task that became every minute more and more difficult – I decided it was time for some food. I stopped at one of the restaurants and ordered a selection of Meze – one of my favorite dishes from the Middle-East – with er… a cold beer (believe me, I intentionally decided to forget how much I paid for it). Meze (or as some call it: Mezze) is a selection of small dishes, typical of the Mediterranean, the Balkans and the Middle East, served as breakfast and lunch, or as an entrée for dinner, followed by more specialties. Meze consists of a variety of ingredients depending from the region but it mostly includes vegetables (especially eggplant) and legumes (chickpeas and fava beans), as well as soft cheese with various spices, plus a few portions of meat. 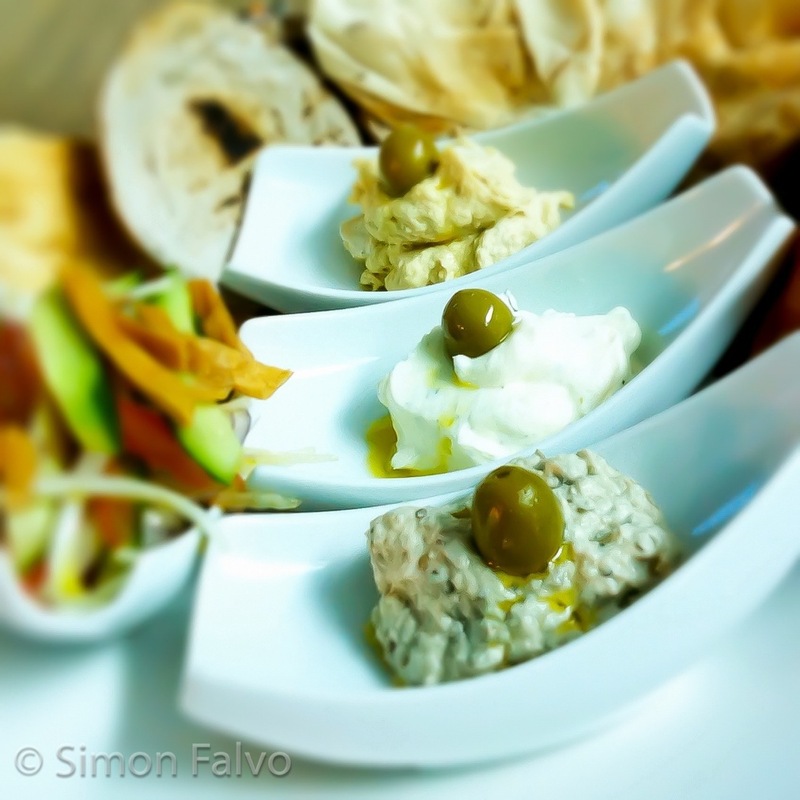 Being served in small dishes, Meze is a fantastic way to discover the flavors of the cuisine from the Middle East, and to get an introduction to what I consider a very refined art of cooking. I love it – that photo looks good enough to eat! A great reason to travel too – I love trying new and different things in different countries. I lived on Mezzes when I was in lebanon, but after having them for every other meal I was craving something a bit more varied by the end.